Since my son was a young boy, I have always put a box of Cherry Cordials in his Christmas stocking. 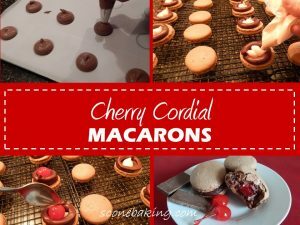 Those Cherry Cordials inspired my Cherry Cordial Macarons. 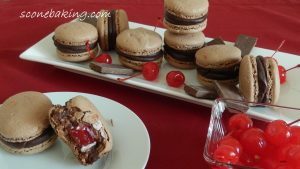 These chocolate macarons have a cherry filling with a maraschino cherry in the middle.